With Auckland’s regional fuel tax coming into effect today, National’s transport spokesperson Jami-Lee Ross says the cost of living in Auckland is set to skyrocket. He says Aucklanders will be paying a total of up to $1.5 billion more for petrol, National’s Transport spokesperson Jami-Lee Ross says. Ross says this fuel tax will hit those on lower incomes the hardest – almost four times as hard as those on higher incomes. 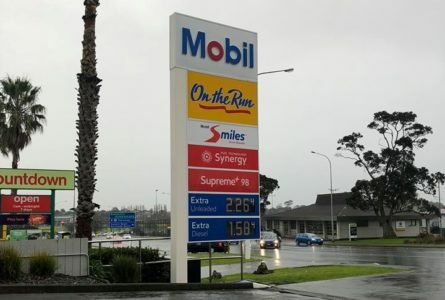 “Transport Minister Phil Twyford’s spin that it will cost people on low incomes less ignores the fact that they spend a greater proportion of their income on petrol so the tax hike will have a bigger impact on their ability to pay the bills, at a time of already record fuel prices. “This tax is unfair and unnecessary. Auckland Council could easily find the money that the fuel tax would raise if it followed through on Mayor Phil Goff’s promise to find 3-6 per cent of savings in its budget. Ross says national would repeal this tax and have a plan to address the transport needs of Auckland without imposing new taxes. National had already committed to projects like the Eastern Busway, Penlink, Mill Road and improvements to the Northern Busway, he says. He says the major difference in National’s plans for Auckland is that they wouldn’t be spending billions of taxpayers’ dollars into a tram to the airport. “This is an outrageous tax and it never should have been imposed,” he says.